Give your guest list an old country thrill when they open their mailboxes and see Banjo Postcards as friendly little reminders about your show. You can almost hear the “yee-haws” and the sweet acoustic jam with Postcards that feature room for four image uploads on a wooden background with a banjo front and center. 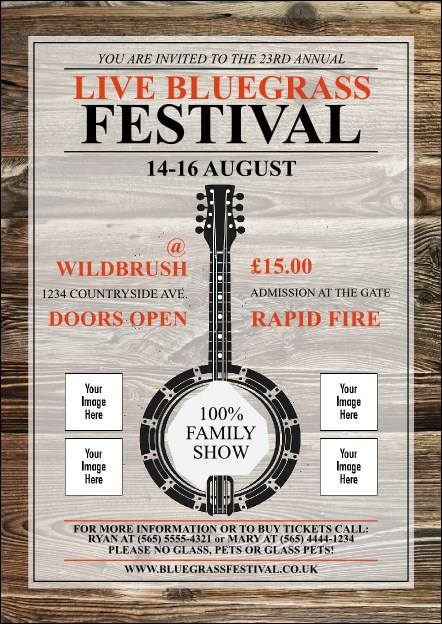 Bring bluegrass to everyone’s doorstep with Postcards from UK Ticket Printing.